Over the past few days tens of new tweaks have been released Cydia and developers are just getting started. We recently told you about several good tweaks that became available for Cydia in our previous post. Today we have two more tweaks that we think are good enough for you to download and check out. These two new tweaks are ClearFolders and Slide2Kill 7. 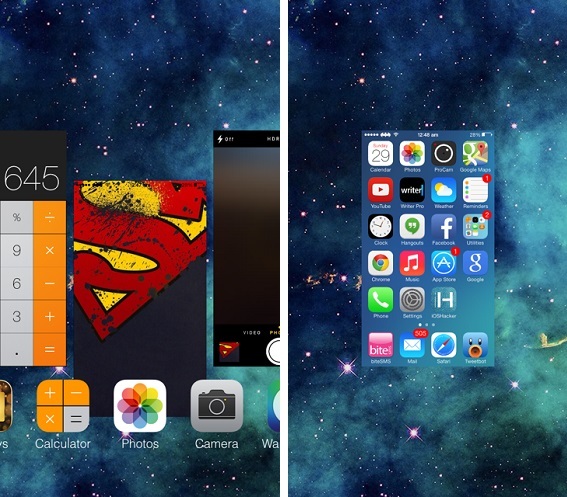 If DockShift tweak removes the background from iOS 7’s dock this tweak removes the background from its folders. ClearFolders tweak is a must have for those who did not like the background Apple added in folders. 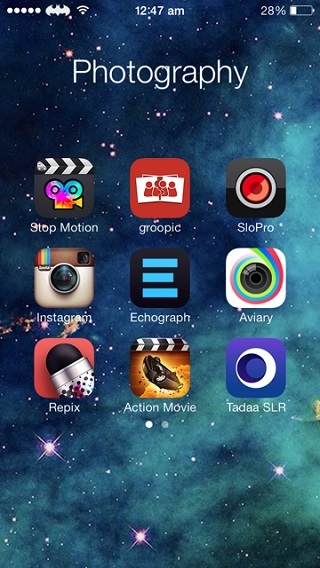 It is a nice tweak that gives a minimalistic look to iOS 7’s folders. There are no settings to configure and it is available for free. Everyone hates it when they have to kill each app that is running on their iOS device by individually swiping up multiple times. In iOS 7 there’s no way of closing running apps, which makes the process really annoying and time consuming. The Slide2Kill 7 tweak makes the process a lot more easier by allowing users to close all running apps by simply swiping down instead of swiping in the upward direction. The way this tweak works is pretty intuitive and the fact that it does not add anything to the app switcher screen makes it even better. Slide2Kill 7 is available for free as well and has no settings or icons.